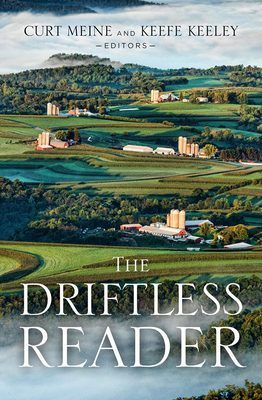 Ancient glaciers passed by the Driftless Area and waterways vein its interior, forming an enchanting, enigmatic landscape of sharp ridgetops and deep valleys. Across time, this rugged topography has been home to an astonishing variety of people: Sauk, Dakota, and Ho-Chunk villagers, Norwegian farmers and Mexican mercado owners, Dominican nuns and Buddhist monks, river raftsmen and Shakespearean actors, Cornish miners and African American barn builders, organic entrepreneurs and Hmong truck gardeners. Curt Meine is a conservation biologist and writer affiliated with the Aldo Leopold Foundation, Center for Humans and Nature, International Crane Foundation, and University of Wisconsin–Madison. His many books include Aldo Leopold: His Life and Work and Wallace Stegner and the Continental Vision. Keefe Keeley, a native of the Kickapoo Valley, is executive director of the Savanna Institute, working with farmers on sustainable agro-ecosystems in the Upper Midwest.